Novak Djokovic and Juan Martin del Potro have met 19 times in their career on the professional tennis courts. 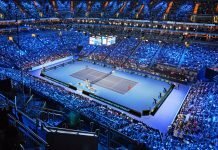 Their recent meeting took place on the New York cement, where the duo clashed for the very first time in a Grand Slam final and Del Potro embarked upon the journey to pick up his second major title and emulate his nine-year-old brilliance at Flushing Meadows. However, Djokovic halted the Argentine from taking the hold off his second US Open crown. Djokovic lost to Del Potro in the opening round of the 2016 Olympics in Rio. Del Potro was in the depth of despair when he was hit by a wrist injury back in 2015 and also mused on the decision to retired from tennis. The Argentinean skyscraper battled with all his shortcomings and contrives to be the best version of himself. 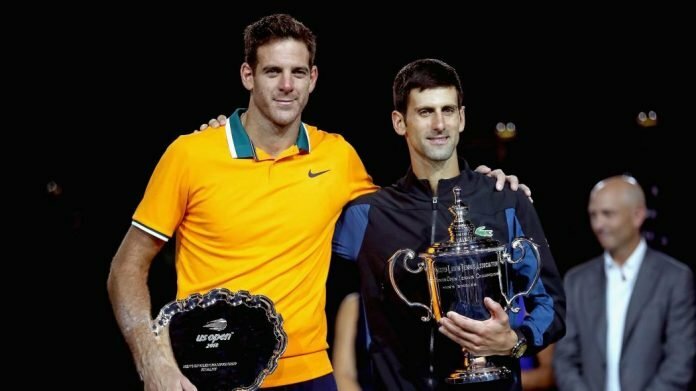 Del Potro holds in high esteem for his companion Djokovic. He looks up to his resurgence on the ATP circuit and his prodigious recovery from his elbow injury in 2017. 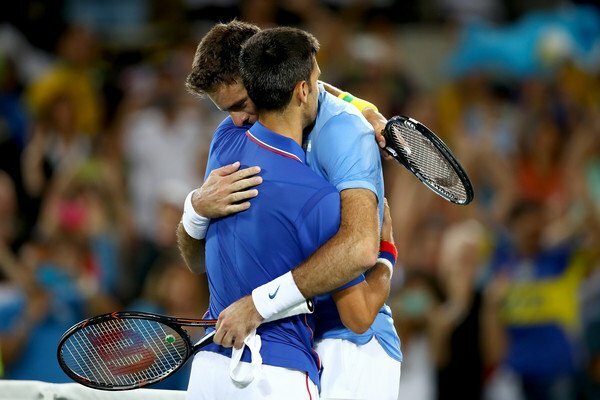 “It surprised me that Djokovic would set me as an example for injuries”, said Del Potro. “It was something very emotional. We spoke a lot about it in the first six months (of the year) because it was the toughest moments, having pain and fears. In some ways, I regret giving him suggestions because now he is beating everyone (laughter). But he deserves everything, he is a great example”. The Tower of Tandil’s return to tennis in 2016 reformed in as a person. After undergoing his wrist surgery he was about to give up upon professional tennis. Nevertheless, those dark times in his life led him to encounter his greatest strength ever. 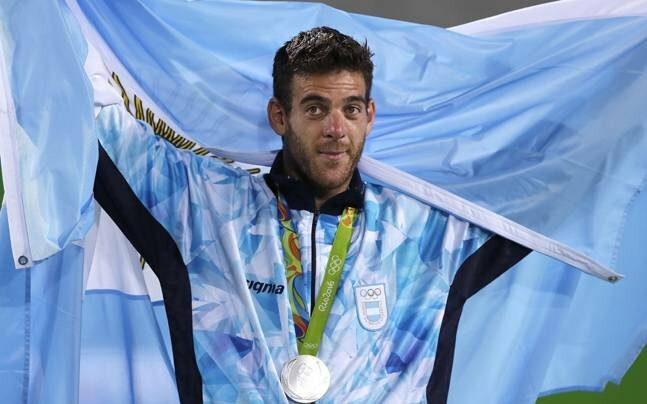 Del Potro’s silver medal in Rio and the victory at the Davis Cup 2016 moved him as an individual. 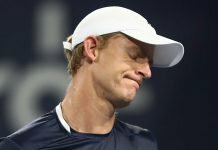 He was overwhelmed during the 2016 Olympics by playing in South America for a privileged event. “I learned to enjoy when I learned to suffer. In 2016, in Rio de Janeiro, tennis changed me. I enjoy it, I live it, I get emotional like I never did before my injuries”, Del Potro mentioned. “Meeting this strength inside me, this connection with the people. I think it’s difficult for high-level sportsmen to make them open the heart. We are always surrounded by close environments and they try to get us away from off-tennis situations and I think that I broke these barriers. I lived a unique thing in tennis. I remember my match against Wawrinka at the US Open: people made me cry. And my most beautiful week was in Rio, the Brazilian people cheering for me”.